Britt Sisseck's timeless boyfriend's shirt is part of the label's 'Permanent Collection'. 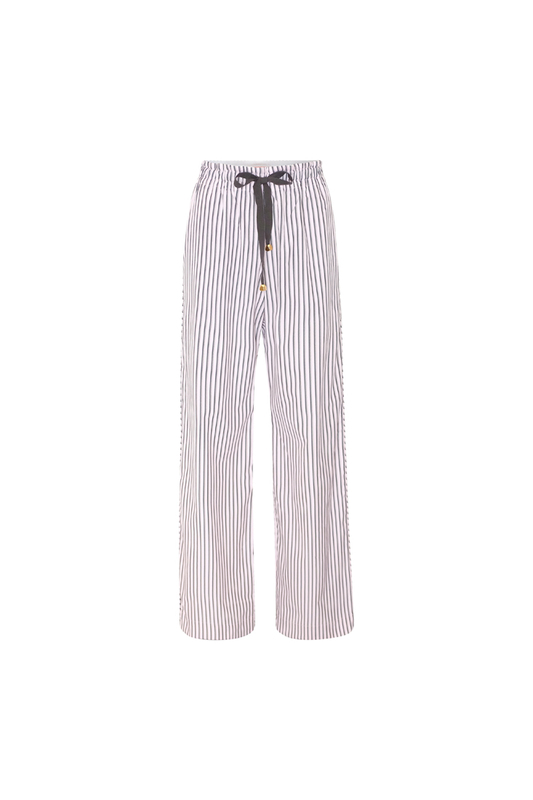 Here cut from a striped fine woven cotton poplin in delicate pink, with light-yellow and black stripes. Note the details of the elongated cuff which allows for ample sleeve length, or a fold back effect. Fasten the neck tie into a bow or let it hang down the bodice. It pairs perfectly with casual as well as office wear, and we love it both belted, or loose and casually unbuttoned.